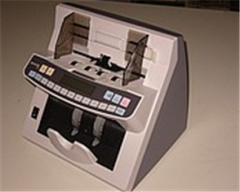 Magner 35S is intended for simple recalculation of banknotes. High speed of recalculation (1300 banknotes a minute), a possibility of installation of the set quantity of banknotes. 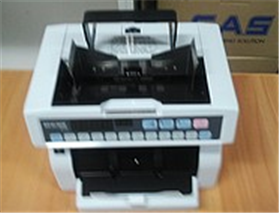 The series 35 Magner counter — one of leaders of the world market of bank calculating equipment is on sale! * account Speed: 500/1000/1300 banknotes/min. 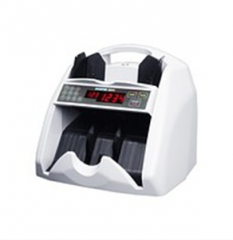 Magner 35S is intended for simple recalculation of banknotes. High speed of recalculation (1300 banknotes a minute), a possibility of installation of the set quantity of banknotes in a pack and summation of a result allows the operator of this model to work with the maximum productivity. In a latest model of Magner 35S there was an opportunity to change the mode of recalculation of notes. The three-speed mode of the account (500, 1000 and 1300 notes/min.) allows the operator to make exact calculation of old notes (500 notes/min. ), and also to work with the maximum productivity at recalculation of new notes (1300 notes/min.) . At installation of additional guides Magner 35S can also make the account of euro. Undoubtedly it is possible to tell that Magner 35 — one of leaders of the world market of kupyuroschetny equipment, and in Russia this counter within 12 years is the first. In the Russian banks, the trade and financial enterprises more than 80 thousand devices are operated already, and still demand for model 35 is rather big. Monthly in Russia the park of the working Magner 35 counters increases by 1000-2000 cars. 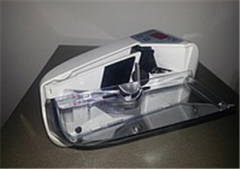 Says about quality of this model already that the counters which worked more than 10 years continue to work successfully without capital repairs. 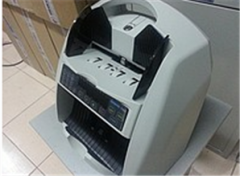 Unbelievable price on Magner-35s 140200 banknote counter tg in Almaty (Kazakhstan) company A Tehcentr Plyus, IP.